Wow! 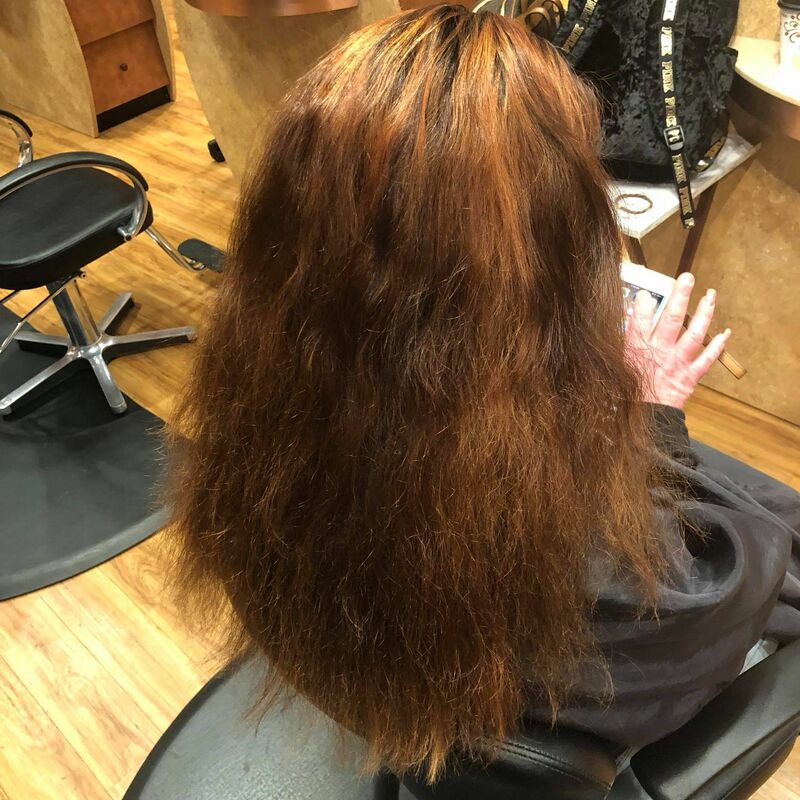 Check out this amazing before and after by our Senior stylist Nick. This gorgeous look was created with out using any lightener! 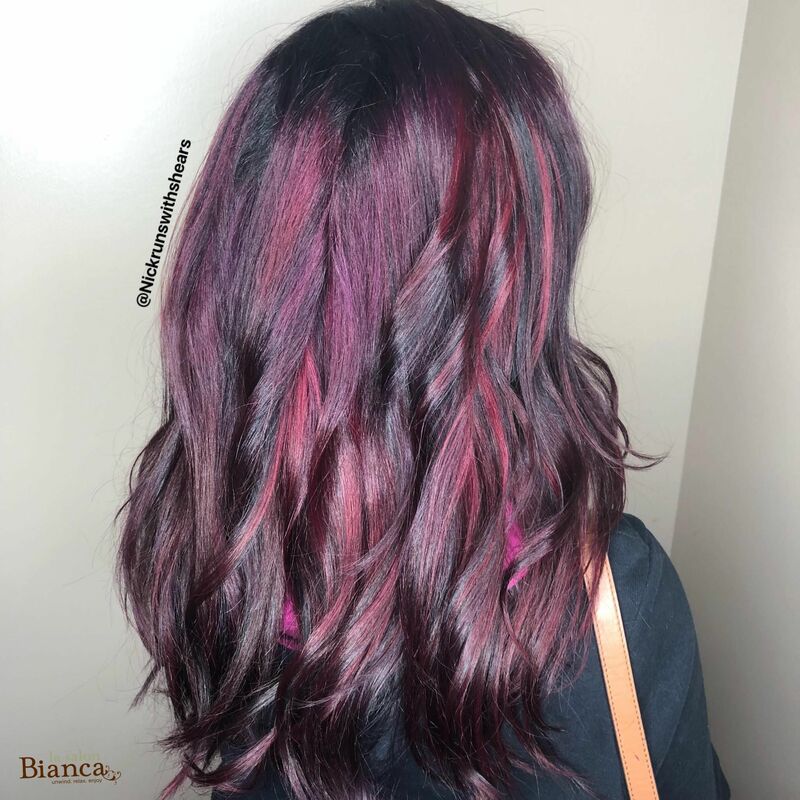 Nick first gave her a shadow root, then layered some vibrant violet and merlot red tones!! Loving this transformation! !